I've learned about humility from my friend Yuvi Zalkow (striking a humble pose here). His book, A Brilliant Writer in the Works is being released tomorrow. It is a delightful and hilarious novel which shall improve the world in some way, I'm sure of it. Here's the deal with Yuvi and humility. He never outgrows his roots. He doesn't focus on his own greatness. Whenever he experiences success, he balances it with awareness of his own shortcomings. He makes me feel better about being where I am. I don't have to achieve some pinnacle of greatness in order to love, enjoy, and live the creative life. Here's the other thing that keeps me humble: the lowly rain bonnet. I've been blogging over five years, and a significant amount of my readers don't find me because they are seeking my genius or my writing prompts. They're doing a search for rain bonnets. Yup. It's the middle of summer, and there are so many things I wanted to achieve by now. They haven't happened, for one reason or another. But it's okay. I can put on my rain bonnet, and use what life has given me. Questions: 1) Are you using what you have, or wishing you were "successful" in some other way? 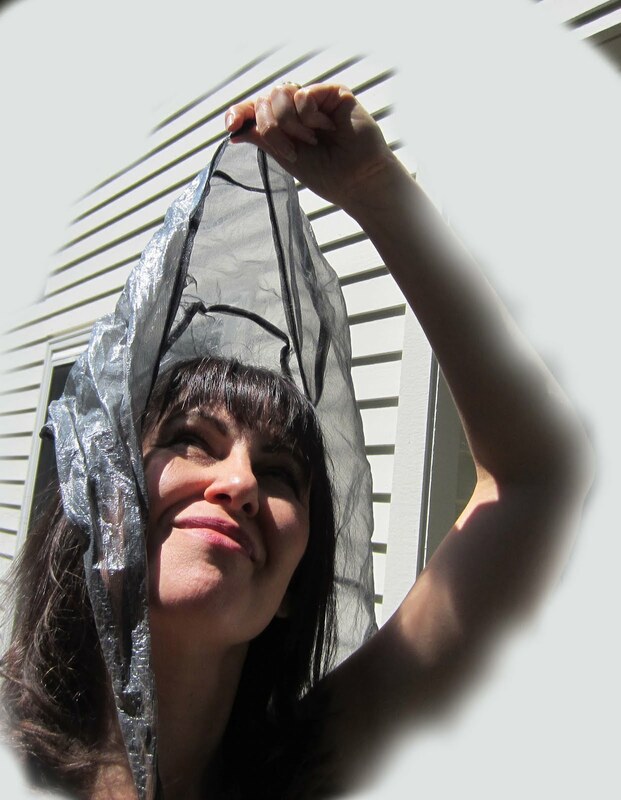 2)Do you like rain bonnets? Great post, Christi. I love what you say about Yuvi. And agree. And also about accepting just where we are. I know if I pushed a little harder more might be happening in the writing life. But there's just so much life to live and I'm pretty happy with the balance. And about rain bonnets, I sure did hate it when I was a kid and my Nana pulled out a little folded up rain bonnet and made me wear it. I felt silly. Now I see the wisdom of them, they leave your hands free to take notes, even in the rain. What a lovely post, Christi! I agree with Jackie. You said some wonderful, true things about Yuvi. I do not have a rain bonnet but I have lots of big, interesting hats. They are not quite as practical as a rain bonnet, though. Perhaps I should get one for walking my kiddo to school this winter. Laura, I love your hats! One of your "writing" hats is noticing others and their work. Thank you for the comment. Also: nix the rain bonnet. I can just see mother and daughter under a cute bubble umbrella.